Today on the YarnThing Podcast with Marly Bird: Heather Zoppetti and Stitch Sprouts! Heather learned to knit in college when she and her roommate decided they wanted to learn a craft. Her roommate wanted to learn crochet but Heather had tried to learn already from her mother and it just hadn’t worked out. Heather decided to learn how to knit instead of crochet. They went to the craft store and bought the I Can’t Believe I’m Knitting and I Can’t Believe I’m Crocheting books by Leisure Arts. After learning how, Heather kept knitting, not letting so called difficult techniques stop her. For several years knitting was just a part of her life. She became a programmer after college and met and married her husband. One day Heather came to the realization that she enjoyed knitting and designing more than her job as a programmer. After talking with her husband, she decided to give designing as her full time job a try. As we know now, that was a great decision and she is still going strong. 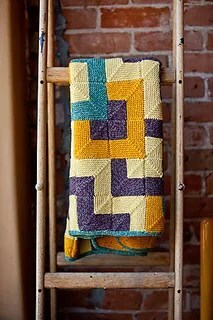 Heather’s first published pattern was the Tamarix Quilt in the Fall 2010 issue of Interweave Knits. She has continued publishing with Interweave and been in Knitscene, Jane Austin Knits, Holiday Knit Gifts, and knit.wear. Heather also worked for the Alpaca Yarn Company for a while and has several designs with them and has a pattern in the book Free Spirit Shawls 20 Eclectic Knits for Every Day from Lisa Shroyer. Heather’s newest venture is Stitch Sprouts. Part of Stitch Sprouts is a designer collective. Because there are so many things involved in publishing and distributing patterns, working together can help designers be stronger. Stitch Sprouts brings those people together and markets their patterns to yarns shops (the paper patterns you can get at a shop). Stitch Sprouts also offers a wide range of services for designers including tech editing, logo design, pattern layouts, chart making, and many more. In addition to the designer services, Stitch Sprouts also is the distributor for Crabapple Yarns and they just started offering stitch markers (both of these they distribute to yarn shops so check and see if your LYS carries them!). Later this year they will also debut their own yarn line! And we won’t forget the Giveaway! Leave a comment on this post that includes Heather’s keyword for your chance to win 3 free patterns from her Ravelry store! Yarnovers add an element of magic to knit fabric. Nice to hear heather speak if her designing life and new business. Your interviews are always interesting and informative. I love all the things I learn about. It is fascinating to think that lace is only decreases and yarn overs. As with most knitting things it always looks harder than it actually is. I thought lace was difficult- then I realised it was only yarnover and decrease. Not so hard after all, and looks beautifully impressive. Really enjoyed getting to know Heather and also her website, Stitch Sprouts! Now I have some new designers to follow and stitch up some of their patterns! I’ve been yearning to learn lace for a long time, but the yarnovers seem daunting and intimidating. I did manage to make a scarf for my Mom that had a few yarnovers that I tackled trying to watch YouTube videos and books, but I do better with videos that explain and walk you through the steps. Sounds like Heather’s DVD might be my freedom from yarnover yearning. Lace knitting is so beautiful! Looking forward to seeing more of these new designers and wish I lived closer to PA so that I could attend one of Heather’s classes! Thanks, again, Marly, for another fantastic show. Hi Marly! I started listening to your podcast recently after learning of you from the Fiber Hooligan podcast. It is so wonderful to learn about designers and other fiber enthusiasts! Heather’s interview was fun and her designs are fabulous. 🙂 Perhaps she will be invited to teach at the Minnesota Knitter’s Guild Yarnover event? I am new to all of this lovely yarn love. I just started crocheting and have been really enjoying myself. I have a lot of ambitions and listening to Heather has been very motivating. I have wanted to learn how to knit, but have been a little overwhelmed. After listening to Heather speak about all of the support her website gives and to not be intimidated by knitting, I am ready to learn all of the techniques and especially how to yarn over with knitting needles!! Thanks! I loved the show! I am so glad I learned how to do yarnovers and other skills to make lace knitting not so scary..
Otis LOVES US! 🙂 My Animal House reference. But I would love to see a picture of Otis. I love animals. And I love your story – I would also love to work in the fiber publishing industry. Oops!! Wrong show notes!! 🙁 sorry!! I love lace too – yarnovers make the fabric look so beautiful! I love doing yarnovers! So simple yet it can create such beautiful fabric. Great show! I have never done a yarn over. I’m such a newbie. I like yarn overs in my knitting, very beautiful. Great show. I learned to do yarnovers when I was first learning to knit. They make a beautiful airy pattern. Yarnovers are always good in lace designs. I had to do so many yarnovers in my “Not A Drop” scarf, that I developed tendonitis. Great show! I love to yarn over, it shows progress on my project. My Mom knits and I think she might enjoy learning to make some lace. I love to knit lace. Yarnovers work we’ll, and it’s easy to fix if you miss one. I know you need yarnovers in lace to create the open patterns. They’re easy too. I’d love to learn how to knit more lace – the yarn-overs make it look so open and airy! Yarnovers used to be a mistake, but when knitting lace they are a friend! I finished a wrap last year that had so many yarnovers in it! I am glad it was with worsted weight yarn and a crochet hook so it was a very easy wrap to make. Love the podcast and can’t wait to hear each one! The hardest part of keeping track of yarnovers is when the stitch marker slides underneath the yarnover. Once you learn yarn overs and decreases, lace knitting is not unreadable. Thanks for the podcast! I always learn so much! Yarnovers were one of the first stitches I learned how to do from a book! Lace has been a learn-as-I-go adventure. Lace and yarn overs are my friend!